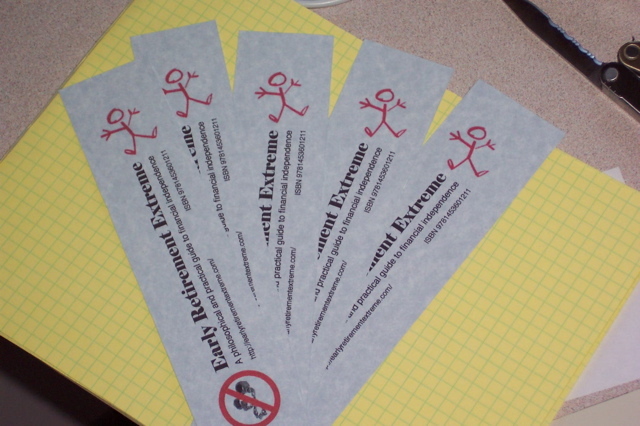 Thanks to rePete, you can now download a pdf to make bunch of ERE bookmarks. I printed mine on card stock. 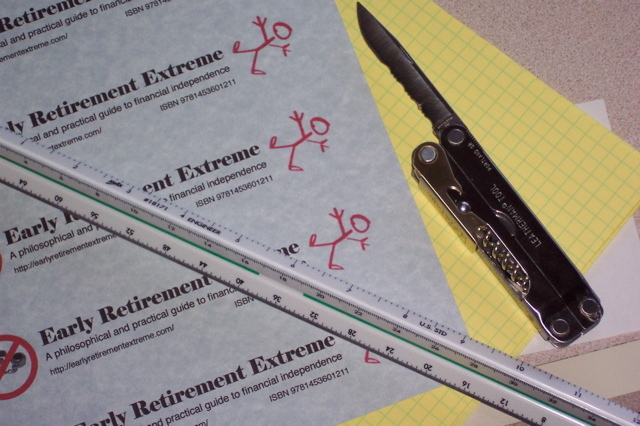 Rather than using a guillotine paper cutter, which I don’t have, I used a ruler and a knife to score the lines. This made it easy to use a pair of scissors to cut a straight line. If you feel like designing your own and making them publicly available, you can see the “instructions” here. Also check out the latest book review by Larry MacDonald at Canadian Business Online. Much thanks to everyone who has taken the time to write a review. 14 users responded in " Do It Yourself ERE bookmarks "
I like the knife. What make? @gibberade – It’s a Leatherman Flair, the only one they ever made with a cork screw. @Jacob: Actually, it’s the only one they’ve ever made with a cocktail fork and pate spreader; some of the Juice line models are equipped with corkscrews. How do you like the Flair? They’re interesting multitools if only for just how bad they flopped. Funny…my comment was to be about the multi-tool. I swear by my beloved Leatherman Wave! @Rex – Okay, the first one with a cork screw. For me, it’s convenient because it doesn’t allow one-handed opening. This makes it legal in all the countries I go to. The four most used tools are the knife, the scissors, the cork screw, and the pliers. I’ve never used the “cocktail tools”. A little out of our budgets, I assume. Although it would be pretty neat. Ok, the knife is cool (especially since I had mine confiscated last year while traveling). 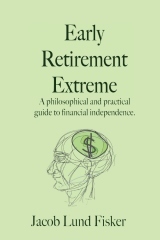 But I just wanted to say: I am now the *proud* owner of Early Retirement Extreme… made it’s way from the European press station (where ever amazon has their printing houses here) to me in Germany! @HSpencer: Actually, Top Gear recently used one in one of their shows; granted, they had to use the saw to cut something, seeing as the knife blades on the Giant models (of which there are several variations) aren’t sharpened. I thought that said Lanny MacDonald (former NHL player) at first. I’m going to print some out on extra card stock and see if they’ll pass them out at our library.